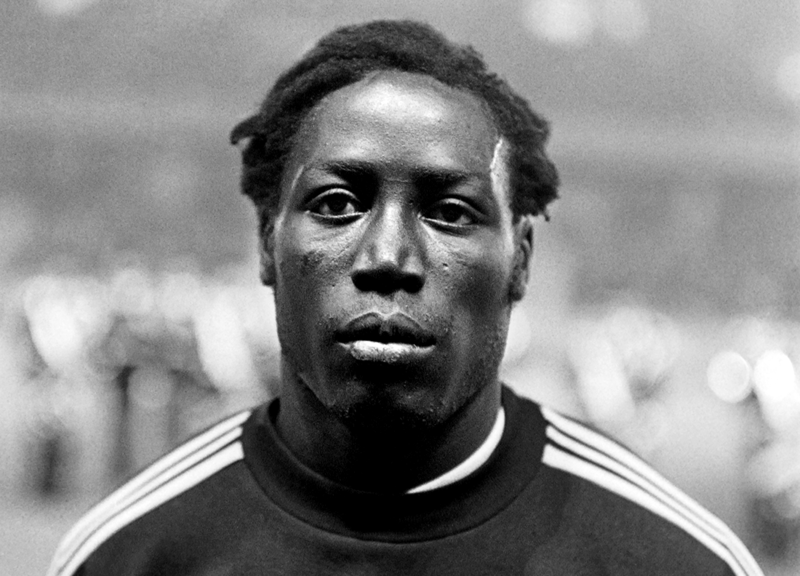 Jean-Pierre Adams is an extraordinary man with an extra-ordinary tale to tell and if you were to whisper his name outside of his home nation of France, people wouldn’t bat an eyelid. Oliver McManus tells us the story of Jean-Pierre Adams. 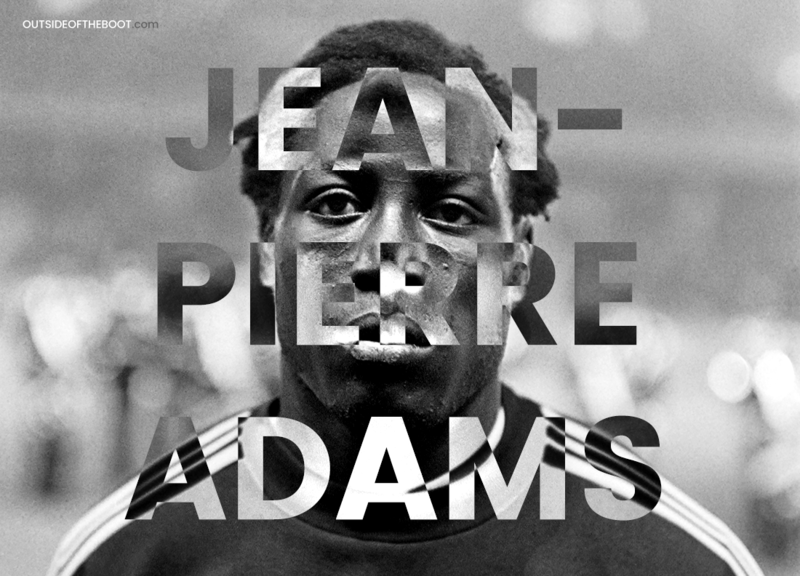 Jean-Pierre Adams is an extraordinary man with an extraordinary tale to tell and if you were to whisper his name outside of his home nation of France, people wouldn’t bat an eyelid. Despite being capped 22 times by the France national team, it is not his exploits on the pitch for which I’m writing about but rather his misfortune off it; aged 69, Adams has been in a coma for over half his life – since 17th March 1982 – and when I’ve been doing my research about him there is always one overwhelming theme to the years that have followed and that, very simply, is one of love. 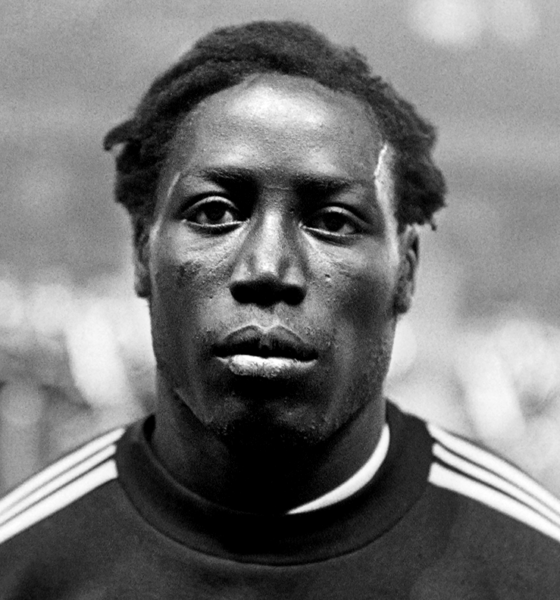 To profile his playing career firstly before moving onto his current coma; born in Dakar, Senegal (at the time French West Africa), Adams left his native country with his grandmother on a pilgrimage to Montargis, a tiny village in the north-central region of France, where he was enlisted in the Saint-Louise de Montargis school before being adopted by a French couple. Playing initially as a second striker for the youth teams of US Cepoy, CD Bellegarde and USM Montargis, Jean-Pierre Adams joined semi-professional RC Fontainebleau in 1967 when he was aged just 19; quickly persuaded into dropping back into defence by the coaches, he helped the club win the Championnat de France Amateur (4th division) twice before signing professional terms with Ligue 1 club, Nimes Olympique, in 1970. Staying with the club for three years, he helped the club to a best-ever 2nd place as they secured UEFA Cup football for the following year with 21 wins, 76 goals and a goal-difference of +39. Between 1973 and 1977 he played for Nice, again in Ligue 1, during a phase of ambition for the club – having been relegated from the top-division in the 1968-69 season with a measly 21 points, they were out to prove a point and nearly succeeded in bringing Jairzinho to the club. This ambition was not, however, matched by their on-field ability but Adams somehow managed to enhance his reputation despite being part of a, relatively, struggling squad; being named in France Football’s team of the 1975-76 season with the newspaper going on record as stating “Adams remains without a rival in his role, where his extraordinary athletic qualities can match the best”. 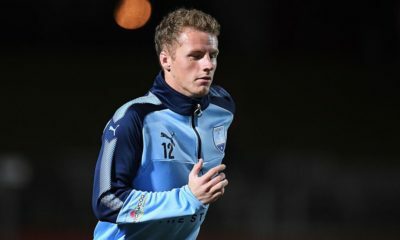 The following season would prove to be his best ever (on paper) with Nice running Saint-Etienne close but eventually finished 2nd in the league with their failure to claim the title put down, in large parts, to an onslaught of injuries across the team – unfortunately, though, Adams was to be slain at this peak as during the season he was one of those to suffer from such issues and his time at the club came was to draw to an unfortunate close. Internationally, Jean-Pierre Adams was first recognised in 1972 when he was still at Nimes as the, then, 24-year-old came off the bench against an “Africa Select” team when he replaced Marius Tresor in a tournament dubbed the Taca Independencia taking place to celebrate the 150th anniversary of Brazil’s independence from Portugal. The name Marius Tresor, in France, is synonymous with that of Jean-Pierre Adams and vice versa owing to their “Garde Noire” which, admittedly looking back with my GCSE French goggles the nickname probably has some racial overtones to it, was a fabled partnership in French football throughout the 70’s. It was such a good partnership for the reason being that they were completely different to each other stylistically – Tresor was a robust, technical player and Adams was a young, sprightly, athletic defender. Like his spell at Nice, his international career would be put to bed by the injury he suffered in the 1976-77 season with the last of his 22 international appearances coming in 1976 against Denmark. Still Adams would go on to play for Paris Saint-Germain between 1977 and 1979 before his 9 year spell in Ligue 1 would end as he joined, firstly, Mulhouse and then Chalon before announcing his retirement aged 33, in 1981. On the 3rd day of a coaching course in Bourguignon in the spring of 1982, Adams suffered a knee injury and headed to a hospital in Lyon the morning after. The first scan showed that the tendon towards the back of the knee had been damaged but an unplanned meeting with a surgeon on his way out of the hospital would prove to be the turning point in his life. The brief conversation that they had would lead Adams to decide that the best option of treatment would be to have an operation as soon as possible and, so, he was booked in for the operation on the 17th March. 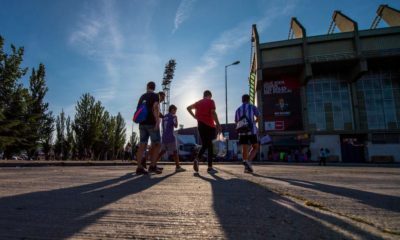 After three calls to the hospital his wife was finally told to “come here, now” and being in such an emotional state, she was joined by two official Chalon officials to the hospital where they were told that her husband had gone into a coma. For 5 days and 5 nights, Bernadette (Mrs Adams’ first name) sat by his bedside desperate for his condition to change with their two young children, both boys, being looked after by their grandparents. The simple part is that there was a problem with the administration of his anaesthetic which created an unwanted air bubble, causing something known as a bronchospasm – which covers a whole array of breathing difficulties from very mild asthmas all the way up to what Adam’s has where his brain is starved of oxygen, forcing him into a coma. Negligence then, you’d assume? Again, yes and no because this is where the complicated (ish) part comes into play, the anaesthetist was overworked no-end by the hospital and at the time of Jean-Pierre’s operation he was also in charge of eight other patients, including a young child requiring a particularly delicate procedure. In November he was moved out of the hospital into a smaller one in Chalon, where the couple lived. Despite the obviously precarious nature of this situation there was still a lacklustre approach from the staff with Adams losing 11kg in the space of a month and having to undergo another, unnecessary, operation as a hospital infection has spread to his bones. In August of 1983 the hospital suggested that he should be moved to an elderly residence but Bernadette rejected this and instead opted to bring him back home where she would look after him. She would sit with him hour after hour, sleep with him in the same room and turn him over in the middle of the night, every night. She did this not out of necessity, because there were other options, but out of love and devotion to her childhood sweetheart. A custom built house dubbed “Mas du bel athlete dormant” (House of the Beautiful Sleeping Athlete) with the help of some of Adams’ former clubs as Nimes and PSG provided 15,000 French Francs (as the currency was back then), with the French Football Federation (FFF) contributing an initial 25,000Fr followed by 6,000Fr per week in an offer that would, nowadays, equate to over EUR 1,140,000 a year (as the currency is now). The whole issue of how this come came about was slogged out in the French courts over a lengthy period of time with the relative authorities finally coming to a conclusion towards the end of 1993 with the anaesthetist and trainee operation manager being given suspended jail sentences (1 month apiece) and measly fines surmounting to less than 1,000Fr. 35 years after Jean-Pierre went in for that knee operation, Bernadette is still caring for him with hospitals unable to provide staff to look after him but improvement is being made – Adams can’t speak, walk or talk, but is able to breath by himself, digest his own food and open and close his eyes. Everyday Bernadette gets him dressed and just sits by his side, talking to him , just passing the time and, in an interview with CNN, she said “I’ll buy things so that he can have a nice room, such as pretty sheets or some scent… no-one ever forgets to give Jean-Pierre presents, whether it’s his birthday, Christmas or Father’s Day”. 12,917 days (as I write this) since Jean-Pierre Adams’ entered into his coma, Bernadette hasn’t lost hope that his situation, nor has she lost love for her husband and that’s what this story is about – yes it’s also about football, it’s about tragedy but it’s foremost about just the sheer incredible strength of humanity.